Dear Birthday Boy, Enjoy. Love, God. January 17, 2012 January 17, 2012 Categories Faith, FamilyBaseball, Blessing, Faith, Family, God, Gratitude, Jesus, professional baseball game, Sports6 Comments on Dear Birthday Boy, Enjoy. Love, God. 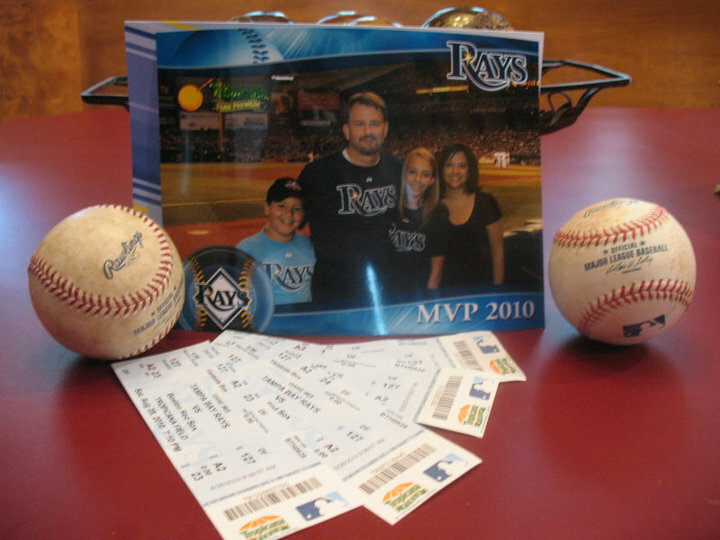 My nine-year old son wanted only one thing for his birthday – a family outing to a professional baseball game. 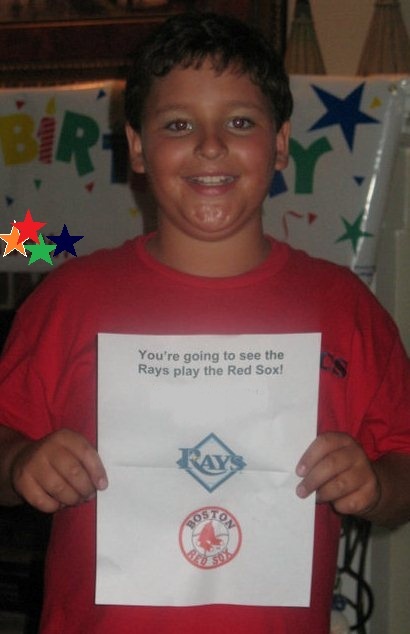 When the big day came, our birthday boy made a poster, grabbed his glove and wore the team colors. We arrived at the ballpark two hours before the first pitch to see batting practice. As we made our way to our seats in right field, my son realized he left his glove in the car. Hoping to catch a fly ball, he was devastated. No one wanted to see this little boy miss a big opportunity, yet he insisted we not go back to the car. His considerate, selfless nature melted my heart. In seats halfway up in right center, a dozen little boys ran up and down the wall in front of us hoping to catch a ball. Several times, an outfielder tossed one to eager little hands. Tears rolled down my face as I thought about heading to the car for the glove. Just as I was getting up from my seat, a ball came zooming toward right field. Before I could blink, my husband bare-handed the 350 yard home run ball. With his hand stinging more than he’d ever admit, he turned toward our wide-eyed little boy and placed the ball in his hands. One of the outfielders yelled, “Nice catch!” as our son stared at his new prized possession. I could hardly believe what had just happened. My son’s expression echoed the joy in my heart. At a loss for words, I realized the impact of what just happened. 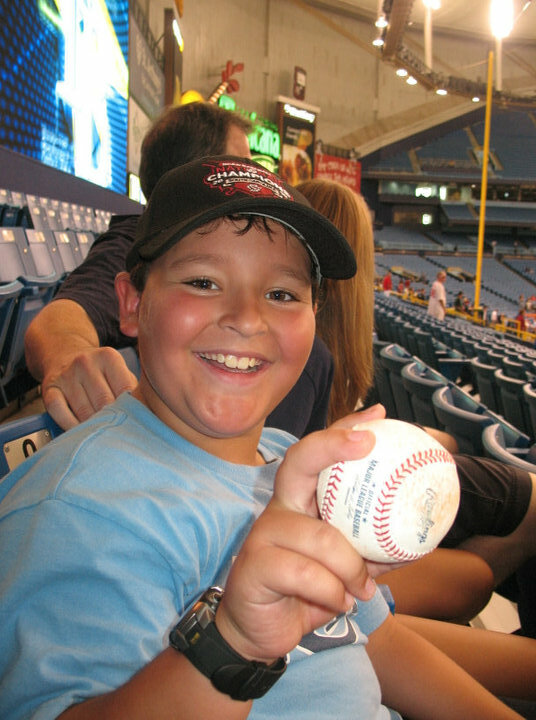 Our son quickly acknowledged the catch of this coveted baseball as a blessing from God and took time to thank Him. We praised him for acknowledging God’s provision and reminded him that God wants to bless all of His children. He simply wants us to recognize those blessings and give thanks just as he had done. When we acknowledge the little things, God knows we can receive bigger blessings and not become prideful. Thirty minutes later we were waiting in line for hotdogs when a person in official team attire approached and asked where we were sitting. As we pointed to our section in the outfield, she offered us VIP tickets! My husband nearly dropped our food as we stared in utter amazement. Thanking her thirty-five times, we floated through a swarm of fans to the section specified on the VIP ticket. 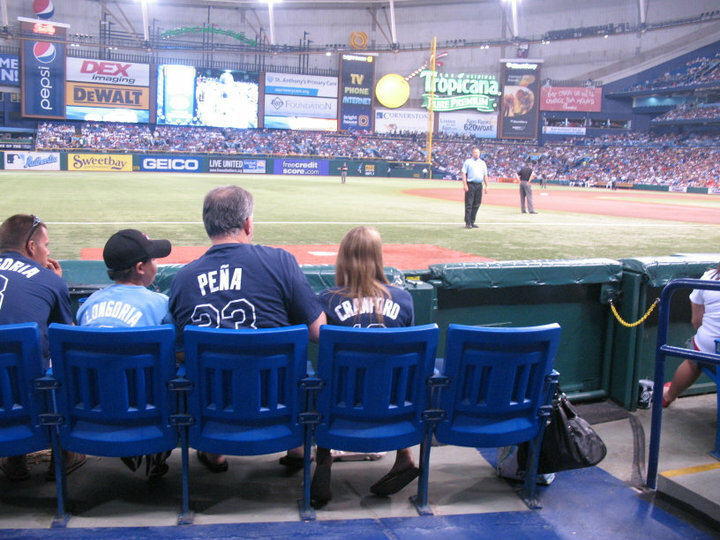 Disbelief engulfed us as we saw our box seats on the third base line close enough to have a conversation with the players – which our son took full advantage of. We were given VIP treatment as the “family of the game” including the chance to wave at the crowd on the big screen. Our son didn’t blink the entire game. In fact, he talked non-stop to the Red Sox catcher who sat right in front of us. The guy even gave our son ANOTHER baseball. Yes, I’m serious. It was about the 4th inning before it all hit me. What an amazing God we serve! I thanked Him for blessing our family in such a big way and thanked Him even more for the lesson we learned. I’m forever convinced that God takes great pleasure in delighting His children and our grateful acknowledgement opens the door of our hearts to receive more from Him. As for our son, he is convinced God loves birthdays and baseball games and can’t wait for next time. He’s sure God can and will top this! What a terrific day for your son! no doubt, y’all are special………God don’t make no junk!!!!!!!!!!! God does delight in blessing His children. Oh, that we would have the faith and gratitude of your son.